Today we’re wicked excited to share a holiday recipe from raw chocolatier and our friend Amy Levin! We love how she is breaking boundaries in the raw chocolate and dessert arena and grateful that she’s sharing her expertise with us. With more than 16 years experience as a professional chef and nine years specializing in raw chocolates and desserts, Amy leads the way when it comes to empowering people with the tools needed to forge their own path in the world of raw chocolate and desserts. 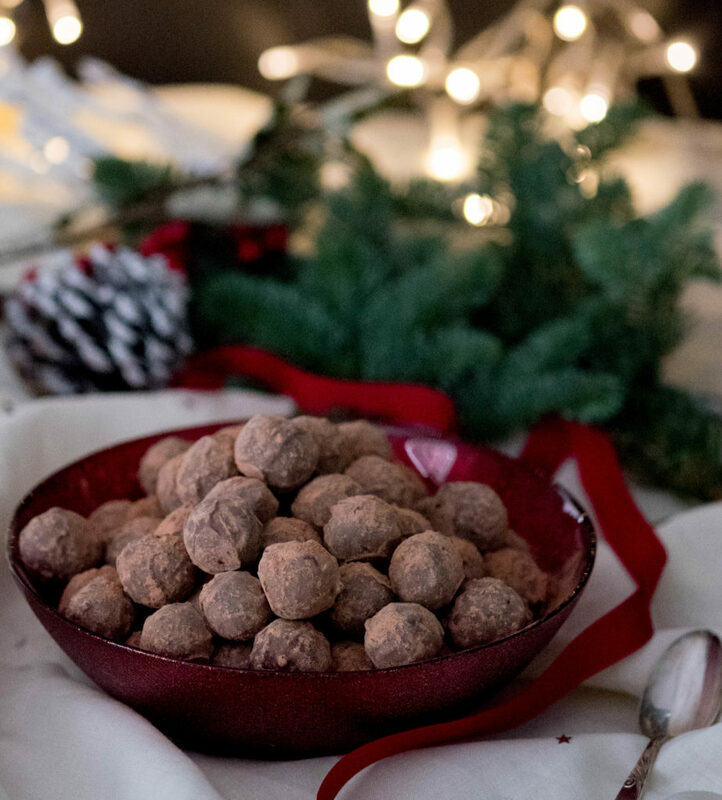 We’re excited to hand it over to Amy to share her recipe for these raw mince truffles! 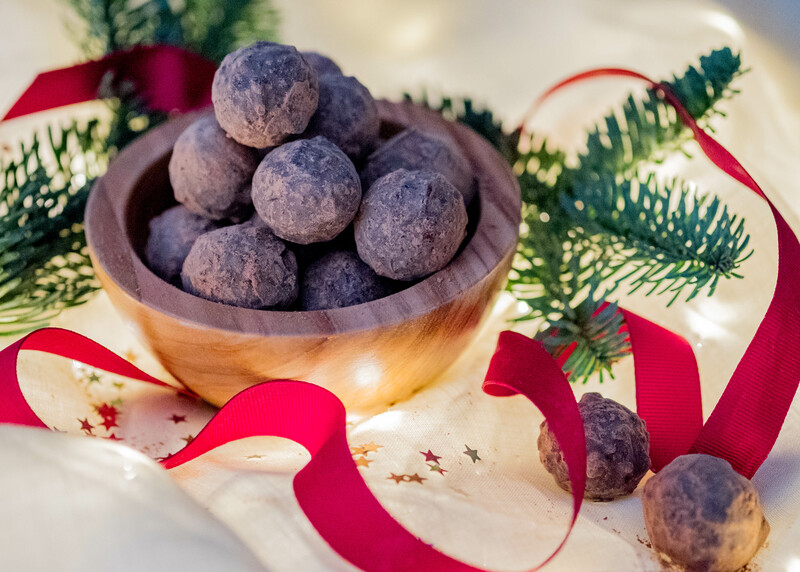 This truffle recipe can act as a base for any truffle you feel like making, it doesn’t need to have the mincemeat, but it’s so Christmas-ey with it! The mincemeat is dense and deep in flavour, but the chocolate mellows it out enough to bring balance on the palate in every bite. Check out more of Amy’s recipes here and learn more about raw chocolate here. Hungry for more? Check out more of Amy’s work here and check out her workshops! Once the chocolate is fully melted and the mix is silky smooth, add the mincemeat and pulse to combine. We want to keep some texture from the fruits. Pour the contents into a large bowl so the ganache can set quickly. If the bowl is tall and narrow, it will take longer for the mix to set. Create as much surface area as possible for faster setting. Leave the mix uncovered at room temp until it’s completely cooled. Wrap with plastic wrap and place in the fridge for a few hours to set completely. Once set, roll the mix into small balls. You can wear gloves to avoid them melting too much as you roll. Place them back in the fridge whilst you prepare the chocolate for enrobing. Check out the video above or here for step by step enrobing instructions. 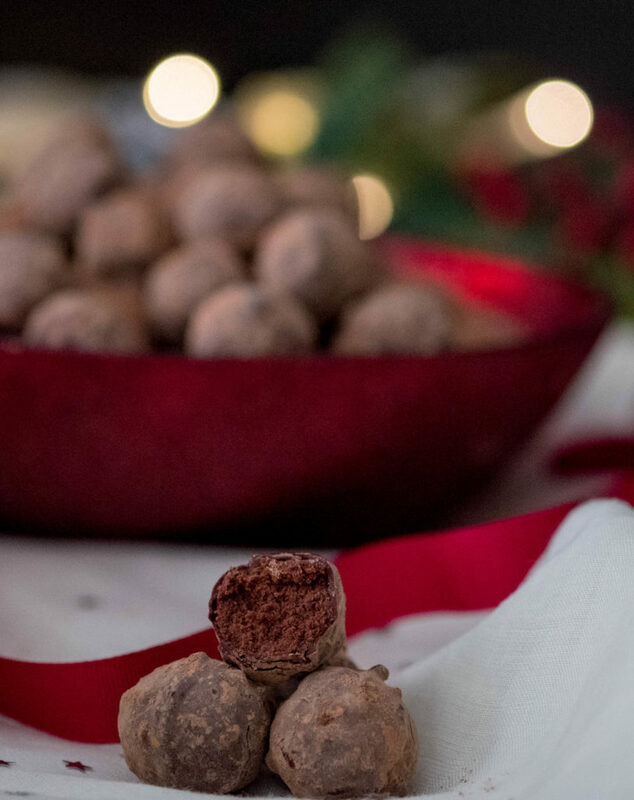 Once truffles are enrobed and set, you can roll them in the cacao powder.